Location on map is approx. 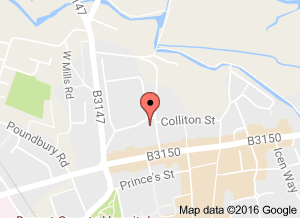 Fareham meetings are held in Portchester Parish Hall situated in Assheton Court off Castle Street. Castle Street is just off a roundabout on the A27 - the third exit when coming from Fareham or first exit when travelling towards Fareham. Assheton Court is approximately 100m on the right. There is ample free parking just past the hall and two disabled spaces in the area at the front of the hall. There are two meeting rooms in the hall, we use the smaller. The meetings typically consist of talks and demonstrations of software, hardware and techniques with follow up discussions. The meeting then is opened to the attendees to raise issues and problems, which the group will attempt to solve or suggest further avenues of investigation. Members are welcome to bring along their own Macs so that they can participate in the demo or illustrate any issues they might have. The meetings are friendly, and informal, as with all our meetings, with the emphasis on sharing knowledge and experience of the Apple range of products be it Mac Pros, MacBooks, iMacs, iPhones and iPads, plus any new products introduced by Apple. Please feel free to come along, if nothing else to listen and have a chat. We look forward to seeing you there. The Colliton Club is in the 16th-17th century house opposite County Hall in the centre of Dorchester. There is normally plenty of space in the adjacent car park with a flat charge after 6pm of 50p. Meetings are held on the second Tuesday in each month, commencing 7:30pm in the Dorset Room on the first floor. We provide the projector, screen, speakers and other equipment needed for presentations. We are able to make use of the Club's well stocked & reasonably priced bar for drinks & snacks. Meetings are a mixture of introductions to particular software by members, and tips, & ideas, and often wide ranging discussions. Everyone is most welcome to present whatever interests them and presentations range from the slick to the frankly laid-back! Members can plug in their devices, either to share their enthusiasms or to ask for informal help with problems & queries. WiFi connection to the internet is provided by the Colliton Club. Members have a wide range of experience from beginners to professionals but all of us are there to share our friendship & support. If you have any kit you would like to sell do bring it with you. There is always a break to visit the bar downstairs. After the meeting discussion sometimes continues in the bar. You are welcome to join us at one of our evenings free of charge to see what meetings are like and have a chat. Our meetings in Bournemouth are held on the third Tuesday of the month, starting at 7:00pm in All Fired Up, the ceramics cafe, on Bourne Avenue. This is very near to the centre of town, between The Square and the Town Hall. There is convenient parking in the Richmond Gardens car park at the top of Richmond Hill. Even closer, but more expensive, is the NCP car park at the bottom of Richmond Hill (which also saves walking back up the hill afterwards). We meet in the cafe space where everyone can sit at a table, see presentations on the big screen and use the fast internet connection. We encourage those members with portable devices to bring them along. There is always at least one presentation on an Apple related topic by one of our members followed by informal discussions during a tea break (refreshments are available at a discounted price). After this, we have a questions and answers session that can cover a whole range of topics from the most basic to the advanced. This exchange of ideas and information usually sends people away with new ideas on how to achieve things. We finish about 9pm, when a smaller group retreats to a nearby eatery to continue the chatter (everyone is welcome to this too). The atmosphere is always friendly and informal so do come along. You are likely to enjoy it whether you are already a Mac, iPad or iPhone user or are thinking of becoming one. You don't have to be an expert to feel at ease, beginners are equally welcome and, of course, the first meeting is free! 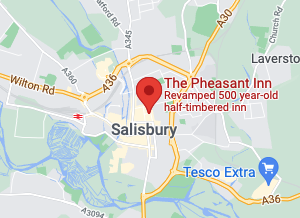 Salisbury meetings are held at the Salisbury Tesco Extras Store, Southampton Road, in the community space. We meet on the last Tuesday of each month starting at 7:30pm and finishing around 9:30pm. The meetings proceeds with one or sometimes two presentations. The content of the meetings are fairly fluid but does attempt to follow a format and try to cater for experienced users to complete beginners So, if you're a seasoned Mac user or are even just toying with the idea of buying your first Mac we'd love to see you at our next meeting. The Community Space at Tesco Extra Store can be found by turning right inside the main entrance, follow the pathway behind the tills and the room it at the far end inside the double doors, passed the toilets, the space is well lit, (lights can be dimmed during presentations) there is good internet connection, also a large TV, facilities for making tea or coffee and biscuits that are free, a fridge, there are no steps allowing good disabled access. There is plenty of free parking (with a time limit of 3 hours) the store is open 24 hours and it has a filling station. 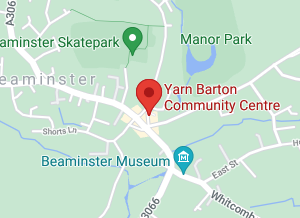 The meeting venue is unique as we take over the Cafe at Ann Day on Hogshill Street, Beaminster, from 7.30 pm on the first Tuesday of each month, barring August. This meeting has a really good atmosphere helped by the seating layout, which is that of the daytime cafe. People can easily see the presentations on all matters Mac, iPad and iPhone that we have. After a break for coffee (espresso or cappuccino!) members get together in small and changing groups to chat, question and learn on a face-to-face basis. There is plenty of parking a short distance from the cafe and it is free after 6.00 pm. You will be very welcome when you come to see us!